Last week, when news broke on social media channels about the Boston Marathon explosions, there was nearly immediate pressure for brands, businesses and individuals to cease all prescheduled content, though a quiet minority advocated business as usual. A number of different reasons were expressed for or against continuing business content. Most the views were pure black and white - either business as usual or pause all business promotion. I prefer a moderate approach, but I’d like to offer a different perspective on each of the arguments I encountered. 1) Promotional content was seen by many as insensitive in light of the Boston Marathon news. Others felt that Twitter needed to be an open channel for communications; turn off all the promotional noise. Twitter is always an open channel for communication. It’s also always a repository of noise. (Most) savvy users know how to control the volume through the use of hashtags, lists and unfollows. 2) Many felt that since tweets don’t stop when thousands are dying every day in civil wars across the world, then there is no reason for them to stop for Boston. 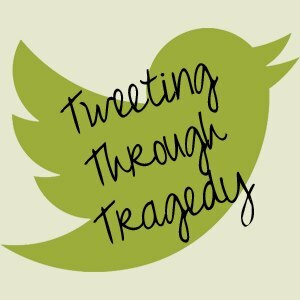 It’s true - the tweets don’t stop for so many other tragedies around the world every single day. But isn’t it possible that the businesses geographically close to those tragedies ceased communications? Boston is close to home for those of us in North America and people travel from all over the world (thought primarily North America) to participate. I would not blame one single person in Europe, Asia, Australia and other places for continuing their day as usual. 3) Alongside pleas for sensitivity were complaints about those complaining about scheduled content. 4) There were folks who felt there was no reason for any business or any individual to change social network activity, because life goes on. Life does go on, but in the hours just after tragic news breaks, the openness of the audience has to be taken into consideration. From a purely selfish perspective of wanting their eyeballs on my content, are those hours the best time to continue with the status quo? That answer might be very different depending on the locale of your audience. In the case of the Boston Marathon, many North Americans were riveted to the news for hours after it broke. 5) You can’t spend all day watching the news. Distractions are healthy. This is true, likely even more so when the enormity of the news is so hard to comprehend. All these concerns leave businesses with the dilemma of what to do. It also re-ignited the never-ending debate about scheduled posts. (This debate is exhausting…maybe we should just agree to disagree.) Those against scheduled content cited the Boston Marathon as a perfect example of why it’s a bad idea to schedule. Whether I put content in an editorial calendar or book it to go from Hootsuite, it’s still planning. There is no way to anticipate in either circumstance what could potentially happen in the world. If we worried about how every tweet was going to be perceived in light of the breaking news, we’d never tweet anything. Whether you have scheduled posts or not, it’s possible to remain ignorant of the news even if you’re actively using a channel. Personally, I was monitoring a conference feed when the news broke. Had I not flipped over to Facebook, I wouldn’t have known and likely would have tweeted seemingly frivolous live content. Large corporations have more resources than small businesses. They may schedule content, but there is greater capacity to monitor. Keeping tabs on breaking news is likely included in their monitoring practices (to some degree). This is rarely possible for small businesses. In light of this, there needs to be some understanding of the challenges of being a small biz in particular. However, let’s not crucify big businesses either. No business can have someone watching everything on social media 24/7/365. Are they tweeting about the news constantly? Do you see complaints about promotional content? Have they specifically asked you to stop? After considering all of those things, what does your gut tell you to do? Do that and you’ll make the right choice for your business. What else do businesses need to factor in when deciding how to manage social media activity during breaking news? And how did you respond to the news out of Boston last week?